Former Mayor Phillip E. Preziosi heard a mixture of responses from some of the 40 individuals who packed the Newberry Lions Club building to hear about his plans for adding “quality of life” to the park named after Preziosi for his years of service. Residents sounded-off about Preziosi’s evolving plans, which started out as a conceptual pavilion, then changed to permanent concrete pad and most recently are for a stage that can be put up and down in a matter of minutes and stored at the Lions building. Residents, in the end, didn’t seem to balk at the idea of the portable stage, for occasional musical concerts and special events, but they also don’t want to loose the serenity the park offers. “What’s wrong with the way the park is now?” asked Bernard Dincher, a lifelong West End resident. Dincher said the city should instead invest in planting more trees. He recalled looking at people having picnics and school children playing on the playground equipment. “We don’t need another bandshell,” Dincher said, a reference to the stage that does support special music and events in Brandon Park. Preziosi responded by claiming the stage would provide entertainment for residents who are homebound and unable to get to Brandon Park. “Why would you need a concrete pad?” he was asked. 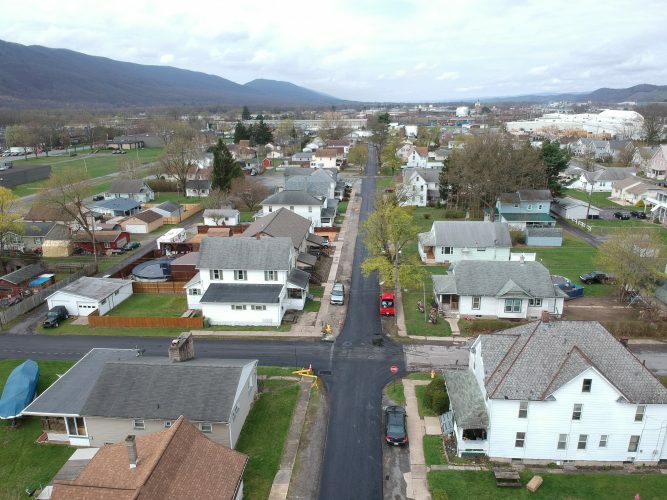 The pad is estimated to cost $3,000 and would be funded through Clean and Seal funds transferred from its use in the city Bureau of Codes budget. Jennifer Holliday-Stuempfle, a resident living near the park, said the stage wasn’t her main concern. “I have seen heroin needles in front of houses,” she said. Mayor Gabriel J. Campana said he appointed police Cpl. Eric Derr as a point man for people to contact if they see a crime occurring. Last year, residents’ outcries about a man attacked by a group of youngsters and juveniles riding bicycles in and out of traffic and yelling at residents and throwing rocks led to an uptick in patrols, Campana said. The lack of a community meeting or survey by Preziosi when the concept was initiated upsets many on City Council. “We assumed you represented a consensus of the people,” Councilman Randall J. Allison said, directing the statement to Preziosi. “I believe it’s best to be flexible,” Preziosi said of the reason for the changes. To gain even further insight into what should be in the park, the city put together a nine-question survey asking what should be included on its lawns. Chelsea Myers, city planning director, said she put the survey together to find out the desires of the community and because she is new to the city and wants to do what is wanted by most of its residents.